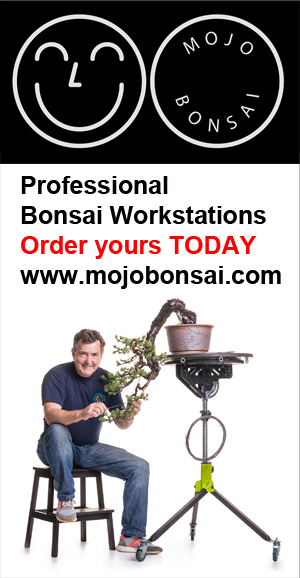 ← My visit to National Bonsai and Penjing Collection of Australia next year. I have been developing this tall Yew over the last 10 years (There is an old photo on my Home page) and it looks like its finally coming together as I would like. The long bottom right branch is taking ages to fill out, cutting back and pinching out needles to force new buds has been the plan for the last few years. I expect the tree to be show ready in three years, by which time I would have re-potted the tree prior to showing.